Aspirinox Alloys Inc is pride ourselves on being leading manufacturer, exporter, and supplier of a diverse range of Stainless Steel 304 Tube that is being produced using quality raw materials. We offer high-end SS 304 Tubes offers some highest putrefaction deviation to a great deal of industrial milieu and chemical corrodents. 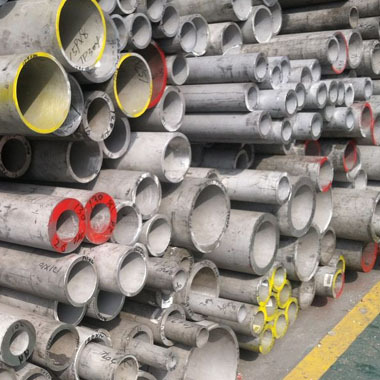 304 Stainless Steel Tube is a cost-effective tube used for both structural and pressure applications due to its good machinability properties as well as excellent weld-ability characteristics with or without the addition of filler metals. These 304 grades of austenitic stainless steels are the most versatile and widely used stainless steels offers excellent corrosion resistance to a wide range of corrosive environments. Offered 304 Steel Tubing is used widely in industrial applications such as pressure applications, and welded, for structural applications. Type Welded 304 Stainless Tubes are used as handrails, legs for office, kitchen, and hospital equipment and as architectural supports. Seamless 304 Stainless Tube is used for pressure operations such as moving liquids and gases in processing operations in the water treatment, chemical, petrochemical, food processing, dairy and marine industries. Moreover, our Stainless Steel 304 Cold Drawn Tubes and Stainless Steel 304 Electropolished Tubes have an amazingly improved formability and can be welded all the way through high-quality refinement by all standard ways. Contact us today & request a free quote! Specifications for 304 Stainless Steel Seamless and Welded Tubes. If any specification is not mentioned here, please use the contact button for quick quote. Request the latest 304 Stainless Steel Seamless and Welded Tubes List. Please click on the request a quote button or click here to request the updated price list and ready stock information along with your requirement. Aspirinox Alloys INC maintains stock of all standard items and can export them at best price for 304 Stainless Steel Seamless and Welded Tubes.